BikeSafe: Is Vision Zero the future of roadway safety? 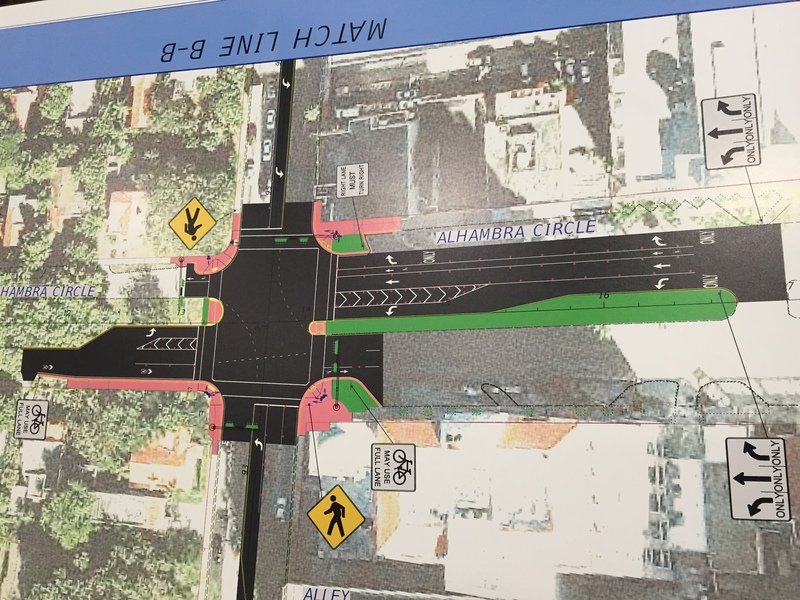 Vision Zero: Future of Roadway Safety? As a cycling advocate, I often try to convince people to add more cycling to their life. People like the idea. Riding is pleasant and fun. However, a sense of discomfort and danger often prevents people from following through. People feel that cyclists face a danger of ending up in a catastrophic collision. To many, this is just the risk of riding a bicycle. We don’t have to accept this vision. In 1997, the Swedish Parliament introduced legislation aiming to eliminate serious injury and death on their roadways altogether. In this Vision Zero legislation, changing hazardous road design serves as a first step to avoid collisions. Following this, the aim is to limit the severity of any collision that does occur. The implementation of Vision Zero lowers speed limits in areas with unprotected road users to around 20 mph. At this speed, a collision is less likely to cause serious injury. While Vision Zero legislation has not reached some of the benchmarks on its allotted timeline, it has drastically improved the safety on Swedish streets. Such a philosophical and legislative shift demands re-examining the role of the street planner. Following the Vision Zero philosophy, an accident may be the fault of an individual but any serious injury is the fault of the infrastructure where it occurred, e.g. : “Perhaps the road where the accident occurred should have had speed bumps or a protected bike lane.” Either way, the Swedish implementation argues that planners are the ones responsible for the safety of a road. On the surface, Vision Zero seems utopian and potentially impractical. Indeed, 18 years after the Vision Zero legislation was implemented, Sweden still experiences transportation related fatalities. Intuitively, it seems unlikely for a locality to ever reach 0% rates of transportation related injury. This begs a question: At what point does the safety of one cyclist or pedestrian outweigh the cost of ensuring 100% safety? Won’t there be a point of diminishing returns, where accepting a certain number of fatalities actually provides greater value to society? The Vision Zero philosophy says that accepting this trade – lives for ease of use and minimalized transit expense – is morally problematic. Whether this appeals to us depends on what we are willing to accept: The current paradigm accepts hazards and injury. Vision Zero emphasizes that we should feel a sense of failure every time a serious injury occurs, rather than inevitability; and that some people are going to ride whether or not they live near existing bike infrastructure. It notes that these people deserve safety as much as anyone else. No longer solely a Swedish goal, Vision Zero has made its way to the United States. If bill H.R. 1274 – proposed on 03/04/2015 – passes, $30 million will be made available to government Vision Zero plans around the country. If successful, the Vision Zero bill will not only benefit the cycling community but the general transportation community as well. The problem of transit related injury seems bigger than any one organization. BikeSafe will continue to follow the implementation of Vision Zero policies in cities like San Francisco, New York, Portland, and Boston and their deviations from the Swedish model to fit local and state necessities. While Sweden’s approach emphasizes infrastructure, many of these cities are realizing the need for education and enforcement – in addition to infrastructure development – to succeed in their Vision Zero goals. BikeSafe will continue to do our part in minimizing bicycle injury, always looking outside for further inspiration. As this movement grows we will take from it what we can, aiming for a day when all modes of transit come without an attached fear. This article was extracted from the Spring 2015 KiDZ Neuroscience Center newsletter. To read more articles like this, subscribe to our quarterly updates.